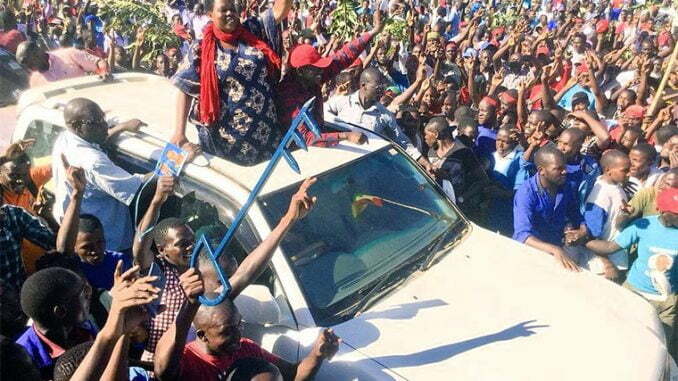 Forum for Democratic Change (FDC), Betty Bamukwasa Muzanira has won the Rukungiri District Woman Member of Parliament by-election. Muzanira was declared winner by the Rukungiri District Returning Officer, Umar Kiyimba at 5:25a.m. Muzanira garnered 50,611 votes defeating her closest contender, Winfred Komuhangi Matsiko of the ruling National Resistance Movement (NRM) party who polled 46,379 votes. Fabith Kukundakwe of Peoples Progressive Party (PPP) got 183 votes, while independent candidate Prisca Sezi Bessy Mbaguta polled 993 votes. 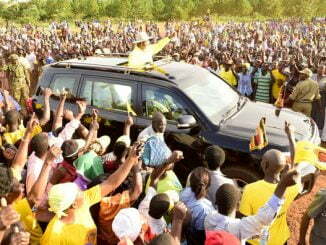 Muzanira hailed voters for protecting their votes from being rigged. The leader of Opposition in Parliament, Hon. 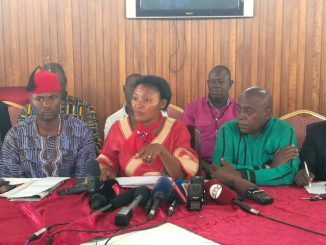 Winnie Kiiza faulted the electoral commission chairperson for failure to punish returning officers who were implicated in mismanaging elections. However Justice Simon Byabakama Mugenyi, said that most of the returning officers implicated are being investigated. 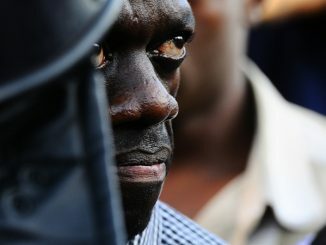 Byabakama also says that the exercise was peaceful. Prior to declaring Muzanira winner, Electoral Commission cancelled results from Burora Parish Headquarters polling station in Burora parish, Nyarushanje Sub County. This followed the mismatch of the results of FDC’s Betty Muzanira and NRM’s Winnie Matsiko on the copy of the returning officer and the declaration forms. While announcing preliminary results at around 01:30am, the Rukungiri District Returning Officer, Umar Kiyimba announced that, Muzanira polled 30 votes while Matsiko polled 695 votes. However, the results were objected by Muzanira herself. FDC leaders stormed the table of returning officer with signed declaration forms claiming that Muzanira had garnered 117 votes while Matsiko had polled 276 votes. This forced Kiyimba to suspend tallying exercise for about two and a half hours as he sorts out the matter. During the course at exactly 3:07:a.m power went off in the tally room up to 03:19AM. Later, Kiyimba canceled the results saying that the results on declaration forms were not varying. Immediately after the cancellation of results, Matsiko moved out of the tally center and drove off. She protested Kiyimba’s decision as unfair and biased. Last month, the Court of Appeal, declared the seat vacant following a successful petition by Muzanira. Muzanira lost to Matsiko in the February 2016 elections but petitioned court citing voter bribery. High Court Judge Wilson Kwesiga had on August 8, 2016 dismissed Munazira’s petition with costs, but the petitioner took the matter to the Court of Appeal which overturned the High Court’s decision. Justices of the Court of Appeal stated that Muzanira’s evidence proved that Matsiko made donations during the campaign period at Kibale and Nyarushanje Catholic churches. The Court of Appeal also noted that there was disenfranchisement of voters whereby the final results of the election of 5,413 voters were not counted when Matsiko was declared winner, thereby ordering the Electoral Commission to conduct a by-election.